John Woodley, Senator, Australian Democrats. 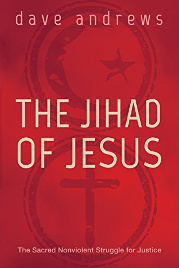 'This book does have the power to transform! From cover to cover Dave Andrews is selfless in his approach to his readers – his obvious desire being to share with us everything he has learnt, through painful experience, and philosophical, pychological and sociological research, about community life and its realistic development. The book moves clearly from theory (to) practice, demonstrat(ing) how people who are committed (can) creat(e) the kind of life-giving communities for which we all long. "A lot of what Andrews says makes sense. He knows about the importance of love, tenderness and involvement, just values, good strategies and requisite resources to bring about change. He doesn't flinch from the stance that hope by itself is not enough to bring about change, that empowerment must be part of the equation. (He) is specific, giving illustrations (of) actions to transform the lives of the poor, strategies of emergency relief, formative education, direct action, model formation and community development." 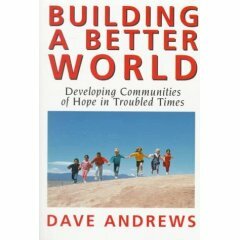 'Dave Andrews writes on issues that are dear to my heart - community and mission. Simon Mayo, Announcer, BBC Radio 1.